New book, 251 pages. 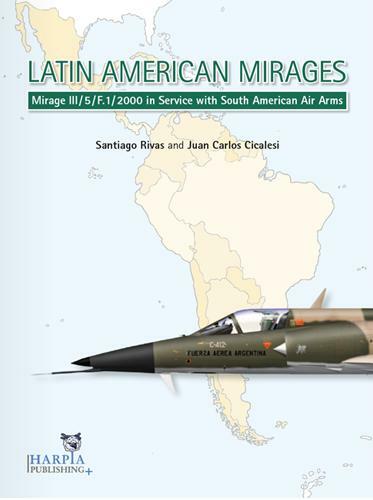 This book for the first time describes the military fighter jet aviation in Latin America. 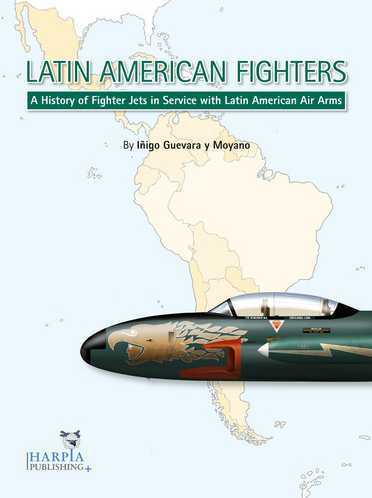 It covers the eventful history of fighter jets in 17 countries - Argentina, Bolivia, Brazil, Chile, Columbia, Cuba, Dominican Republic, Ecuador, El Salvador, Guatemala, Honduras, Mexico, Nicaragua, Paraguay, Peru, Uruguay, and Venezuela. Each country is covered type by type in chronological order. Information on each type is being provided related to purchase, squadron service, losses, upgrades and service history. Each type ends with a table covering the number of delivered aircraft, different types and subtypes, delivery dates and known serial numbers. An appendix lists the existing plastic scale model kits in 1/72, 1/48 and 1/32 scale, as well as decal sheets in regards to the 17 Latin American air forces featured in the book.